1199SEIU’s collective bargaining agreement with the League of Voluntary Hospitals and Homes covers some 80,000 workers in lower New York State. 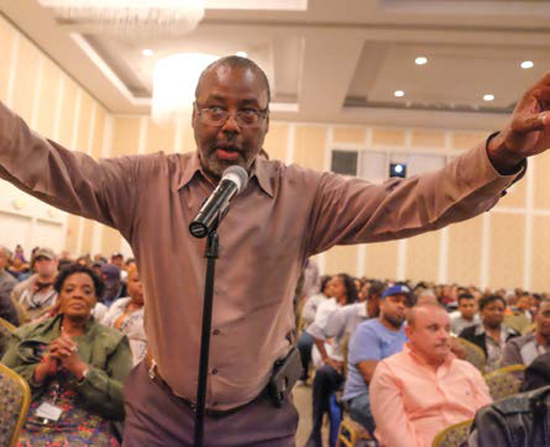 Protecting 1199’s Gold Standard Contract talks between 199SEIU and the League of Voluntary Hospitals and Homes kicked off on May 21, when the Union and management held their first bargaining session at a New York City hotel. The League was founded in 1968 and currently represents 90 healthcare institutions throughout the New York City metropolitan area. 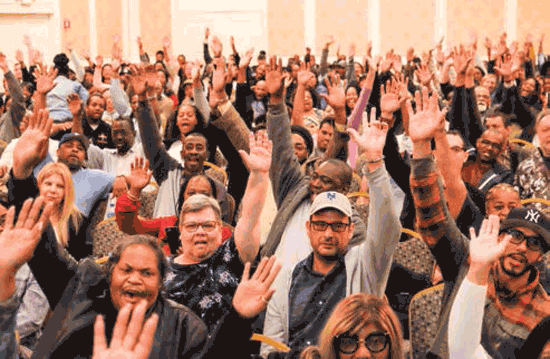 1199’s collective bargaining agreement with the employer association is the Union’s gold standard and a group of 300 fired up Union negotiating committee members came to the table ready to protect it. • Maintenance of all Funds, including the National Benefit Fund (NBF) with no premiums or co-pays. • Security for nursing home jobs, with the succession clause applicable to the sale of any nursing home where 1199 represents workers. As in previous negotiations, management came to the table with a raft of complaints about pensions, healthcare costs and organizing. 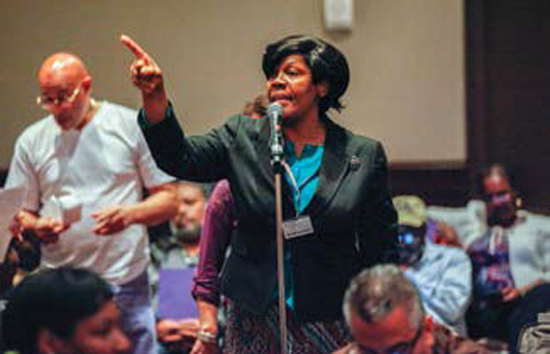 The League also pushed back against perceived benefit cost inequities between for-profit and non-profit nursing homes, but workers weren’t having it. They vowed to stand together against pension cuts and talk intended to divide workers from one another. 1199ers acknowledged bargaining challenges, but members like Elva King cited 1199ers’ work in Albany and legislative offices across the state on behalf of employers and the professional dedication of caregivers to their patients. 1199SEIU President George Gresham praised the committee’s toughness, encouraging levelheaded clarity in the face of League pressure. As jobs and delivery models change, he reminded members, healthcare providers are larger, stronger and more consolidated than ever. Still, Gresham was confident. “I’m looking at the amount of people in this room and I’m thinking this is a lot of power,” Pres. Gresham told members ahead of ratifying contract proposals. At press time, workers were set to enter the second round of negotiations and wrapped a series of actions intended to amplify 1199ers’ intention to unite and fight. Workers at League institutions held a sticker day on June 6, during which workers wore stickers emblazoned with the slogan “To Win This Fight We Must Unite!” And May 29 tens of thousands of 1199ers staged a League-wide walk-in on the boss and delivered hand-signed Medigrams demanding honest negotiations and a fair contract. 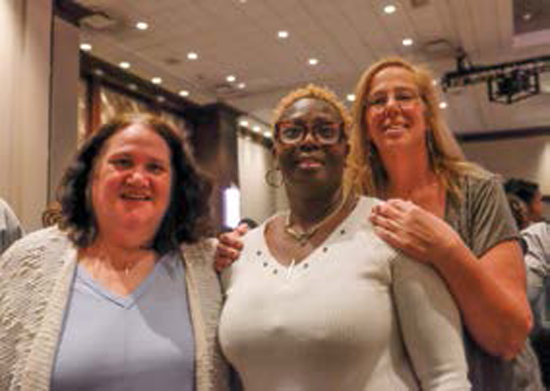 In Manhattan, at Columbia Presbyterian Medical Center, thousands of workers streamed through the institution’s halls and into the executive suite, where police officers and a human resources director who accepted their petition greeted them. Negotiations were scheduled to resume on June 12.